Two recent studies may significantly improve the diagnosis and treatment of TBIs, a Portland personal injury lawyer explains. Here’s why and how. Traumatic brain injuries (TBIs) can have devastating impacts on people, affecting their cognition, perception and even mobility. What can be just as distressing as these impacts, however, can be the process of diagnosing TBIs. This is because the sometimes subtle and elusive nature of TBIs symptoms can mean that it takes weeks to months to determine the extent of the brain damage and, in turn, the prognosis and best treatment options. The findings of two recently published studies, however, may go a long way to improve the diagnosis and treatment of TBIs. And this could end up having a significant impact on the lives of millions of Americans. A study published in PLOS One – In this research, it was discovered that use of SPECT, specialized computer imaging of the brain, can measure how blood flows to certain regions of the brain. This can be used to help better distinguish TBIs from post-traumatic stress disorder (PTSD), which is an important diagnostic achievement because these two conditions can have very similar symptoms but generally require very different treatments. 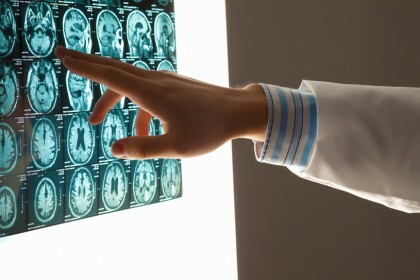 A study published in the Journal of Neurotrauma – This research, which came out of Johns Hopkins University School of Medicine, discovered that measuring the levels of a blood protein known as BDNF can be effective at diagnosing how severe the extent of a brain injury is and the degree to which a patient will be able to recover from that injury. Potentially one of the more remarkable findings of this study was that this blood test for TBI diagnoses could be administered as soon as 24 hours after an injury. Improve the prognosis for some TBI patients, as early interventions and the right treatments may promote better recoveries for some. If you or a loved one has sustained a TBI or any serious injury due to negligence, you can rely on the Portland personal injury lawyer at the Savage Law Firm for experienced help and aggressive legal advocacy. Since 1977, our lawyers have been devoted to providing each of our clients with personal attention, respect and the highest quality legal services. And we are ready to build you the strongest possible case to help you succeed in your financial recovery.